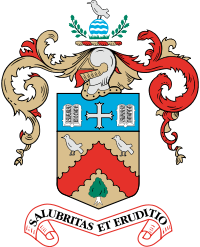 Benhall Women’s Institute was formed in October 2009 on the outskirts of Cheltenham Spa in the Cotswolds. 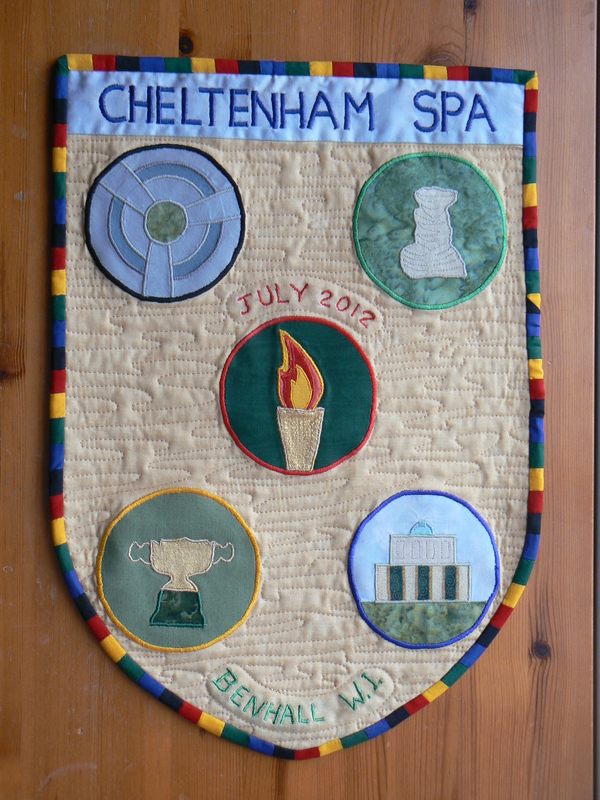 The Olympic Torch is at the centre of our pennant. The slim UK 2012 design is very distinctive. It will be coming through Cheltenham on its way from lands End to London on Wednesday 23rd May 2012. The pennant’s background depicts the honey colour of Cotswold stone and is bound with the Olympic colours of blue, black, red, yellow and green. “The members of Benhall WI would like to congratulate you for participating in the 2012 Olympics. We hope you enjoy your visit to London 2012. We present this pennant as a souvenir”. Haiku inspired by September Challenge at Haiku Heights. This entry was posted in Cotswolds, Haiku, Travelogue and tagged Cheltenham, London. Bookmark the permalink. What a delightfully different direction to take the prompt! Nice! I love the Cotswolds. So pretty! I spent several days in Cheltenham a few years ago. Saw so many wonderful things, but the most unexpected was an New York City Police squad car sitting outside a hotel! It took me a minute to realize what I was seeing. Turns out it was therre for a wedding inside, and would be the bride’s and groom’s getaway car. Yes I think I saw that vehicle in town! I thought our police force were collaborating with the NYPD! tres cool! thanx for the info, too…. Thanks, my brain works in peculiar ways sometimes! More jigsaw thinking than lateral thinking!